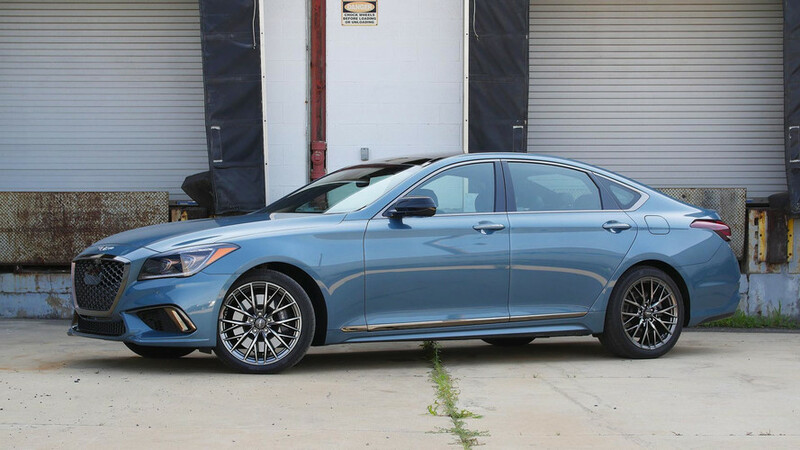 We’re not sold on the sportiness, but as a fast, quiet highway missile, you can hardly do better than Genesis’ newest sedan. 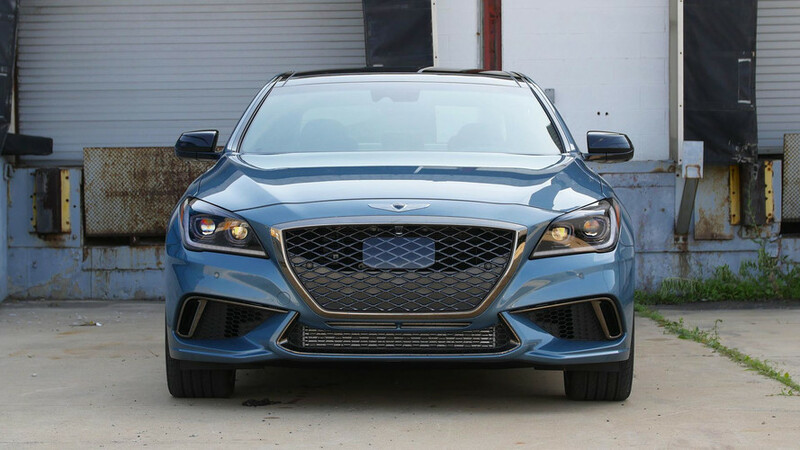 It looks like Jake Holmes and I may have driven the very same Genesis G80 Sport – vehicle specification, driveline, color, and total price are all identical from our First Drive. Normally I would oppose doing two pieces of review content on a single VIN, but the fact is that Jake and I had two very different driving experiences. Our intrepid Senior Editor had the task of vetting the Sport’s sportiness on curving backroads and aggressive grades, while I piloted the Genesis for some thousand miles of sanguine Midwestern highway cruising. I drove from Detroit to eastern Iowa (just over the Mississippi River) and I think that kind of trip is exactly where this well-realized luxury car is most at home. The guys at the car wash dig it. I typically know that a new design is somewhat successful if the dudes down at the car wash are asking me about it – those guys see everything, and have earned our respect. In the case of the G80, they espoused positive reviews of the bold grille, and the unusual-but-cool Polar Ice paint hue. I agree on both points, and would go further to say that the Sport trim of the G80 is one of the most evocative designs in the segment right now. Big six power. When I first heard that the G80 Sport would not be available with the 5.0-liter V8 engine that I love so much, I made a frowny face and scratched my head (which anyone will tell you, is just shy of my flying into a rage). But the application of the turbocharged 3.3-liter V6 and eight-speed automatic transmission quickly salved my frustration. The powertrain makes the G80 feel darn quick, actually. 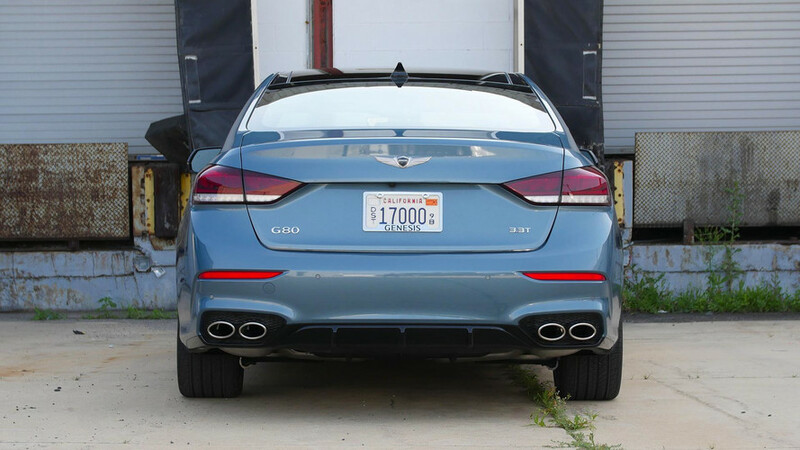 The 365 horsepower and 376 pound-feet of torque are both class-leading (as far as there is a segment for this lightly sporty midsize luxury sedan) and make for breezy acceleration. Even high-speed highway passes were executed with hardly an effort; the eight-speed willing to kickdown rapidly when asked. Silent and steady. 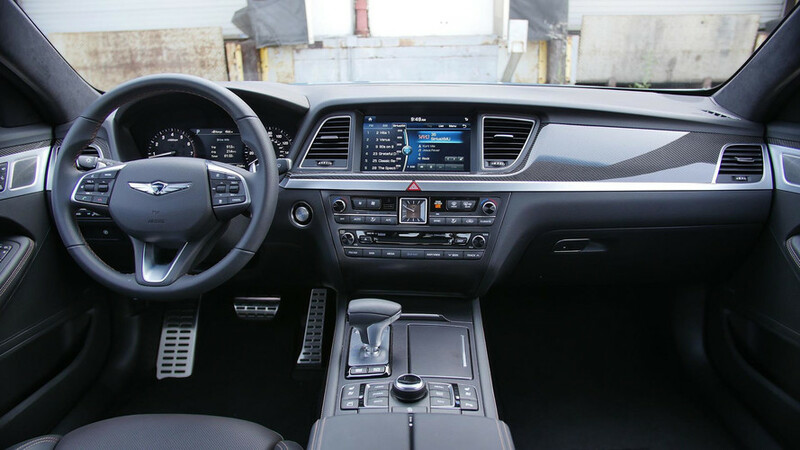 The G80 Sport loves nothing more than to be set at radar-adaptive cruise, at 75 miles per hour, and then just quietly eat up the miles that come at it. 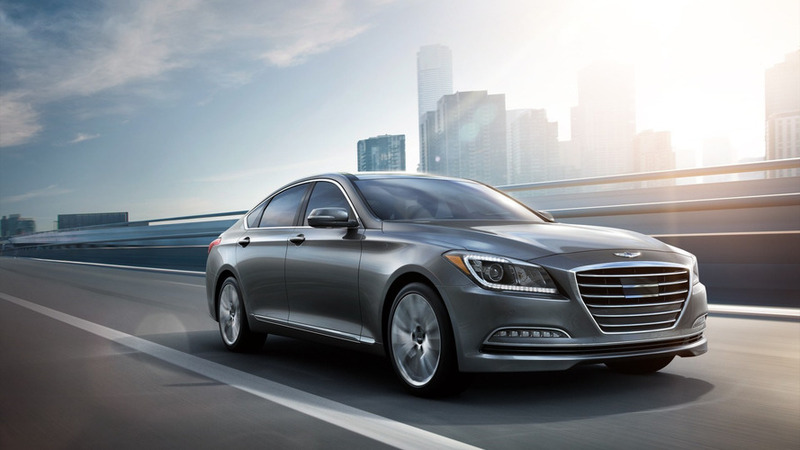 The techy bits like an active assist for steering (you can take your hands off the wheel for a short spell), in concert with an ultra smooth ride, make this Genesis a remarkable road-tripper. The excellent ride quality is matched with a really quiet cabin, meaning I was in music/podcast/audio book heaven by way of the 17-speaker Lexicon stereo. The only car that I’ve driven in recent memory that might be better at quiet cruising is the tomb-like Buick LaCrosse… a car that’s less premium to look at and less fun to drive when you hit the exit ramp. More of a daily driver than a sporty one. While I applaud Genesis for giving the G80 a multimodal transmission and suspension setup, I can’t endorse the “Sport” mode for anything other than the occasional stoplight shenanigans. Of course, on my long highway cruise the sharper throttle response and vaguely firmer suspenders had exactly zero impact on the experience. But even during a few brief dalliances in city centers I found the augmented tip-in to be uncouth, and the firmer shock absorbers hard to detect. Perhaps the later make a difference on a race track or at nine-tenths on a canyon road, but who are we kidding here, guys? Just a little tight back here. 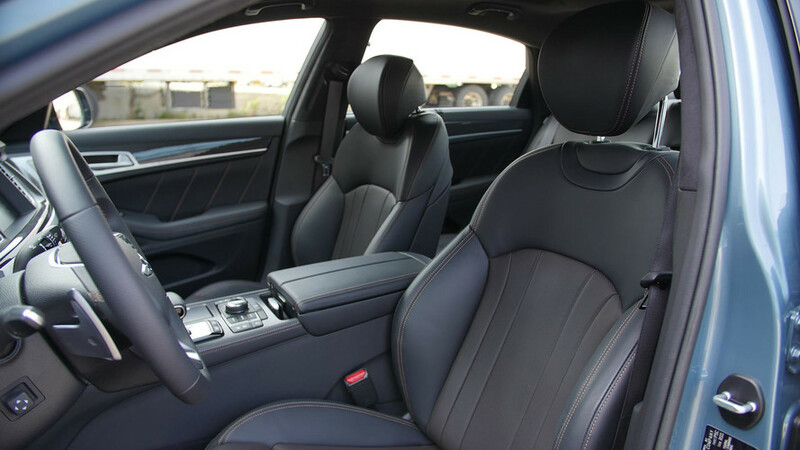 Genesis product planners have given above-average space to the front two seats, at the expense of rear seat room and trunk volume. That’s no problem if you mostly drive as a single or a double, but if you value a big boot or back seat, you might investigate the Lexus GS. Bang on the numbers... and yet. The good news is that I had no trouble hitting the EPA estimated 25 miles per gallon on the highway – in fact I saw 26 mpg for my return trip to Michigan. The bad news is that six-cylinder versions of competitors from Cadillac, BMW, and Lexus all hit (or come closer to) 30 mpg on the highway. Yes, the Genesis has more power to make up for it, but the other cars never felt weak to begin with. Bottom line: If fuel economy is on your shopping list, the G80 Sport might not be.